The newest manga from the Eisner-nominated Ichigo Takano, creator of ORANGE and DREAMIN’ SUN, begins this fall: a drama about two high school boys and musical dreams.Pre-order BECOME YOU (Kimi ni Nare) Vol. 1 in the RETAILERS section here! When Shimana runs off into s rainstorm, the last person she expects comes to her rescue: Zen! When he gets a fever the next day, Shimana feels responsible and offers to nurse him back to health. While caring for him, she learns that he’s been hiding something from her–but that’s not the only surprise he has in store for her. Zen’s got a confession to make and it’s getting harder and harder for him to keep it under wraps. When Shimana fails to work up the courage to ask Asahi out on a date, she decides it’s time to get a makeover as part of her self-improvement plan. it when she calls Asahi to come check out her new look, he’s too preoccupied with his own crush to pick up the phone. Is her transformation all for nothing? And what are those weird heart palpitations Zen’s getting every time he looks at Shimana? It’s a full house of unrequited love and self-discovery in volume 2 of this slice-of-life romance! Great review of Dreamin’ Sun Vol 1 up on Anime News Network today! 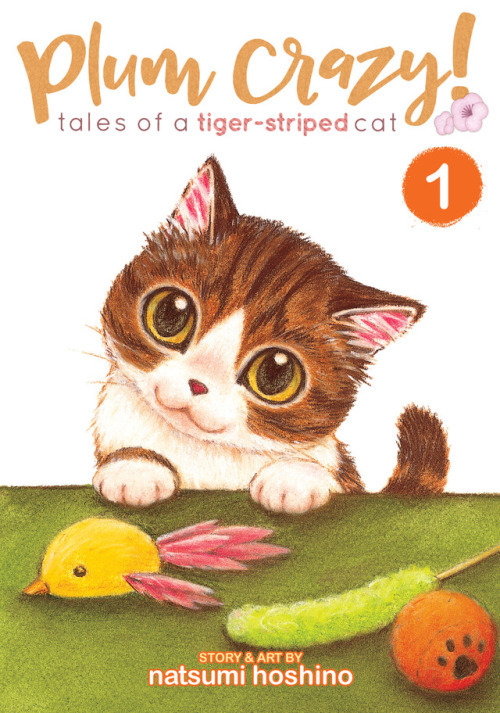 Ichigo Takano is building a reputation in the United States as a mangaka of note; her comic orange was published in two omnibus editions by Seven Seas Entertainment and was nominated for an Eisner this year in the Best U.S. Edition of International Material—Asia category. This is Seven Seas’ first Eisner nomination, and the series garnered quite a bit of praise from both critics and readers. 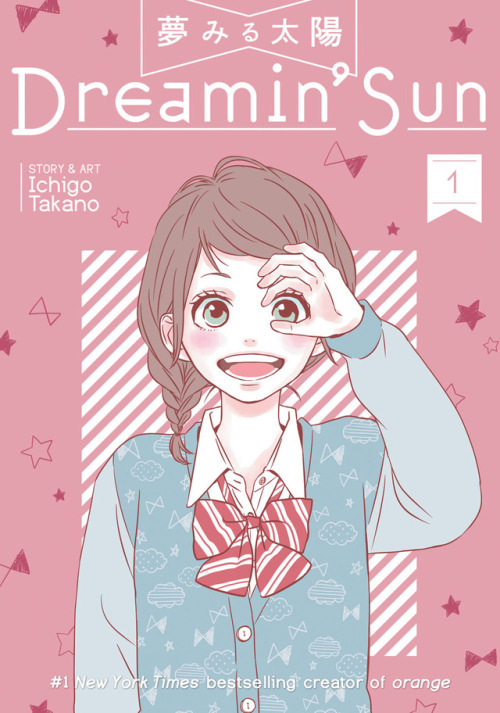 Now Seven Seas has licensed Dreamin’ Sun, a 10-volume shojo manga that originally ran in Shueisha’s Bessatsu Margaret. This is the same magazine that has published comics like Strobe Edge and Dengeki Daisy, both of which are popular Shojo Beat manga. 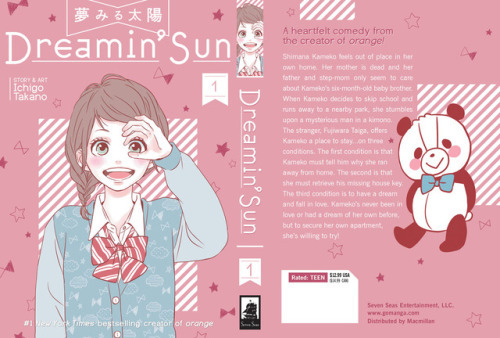 In Dreamin’ Sun, Shimana Kameko is a high school girl who is dealing with the recent death of her mother. Her father has married a younger woman and there’s a 6-month old in the house; Shimana feels like a stranger in her own home, and in a tense introductory moment, decides to pack her bags and run away from home. After running away, she runs into a 20-something lawer, Fujiwara Taiga, who runs a boarding house, and he offers her a room in exchange for $100/month rent and for meeting three conditions. She agrees, and moves in with Fujiwara and two high school boys her age, the feisty, rude, and bratty Nakajou Zen, and the cool, collected, and kind Tatsugae Asahi. Dreamin’ Sun bounces between a traditional shojo style and a more sketchy, cartoony style that’s played for laughs. 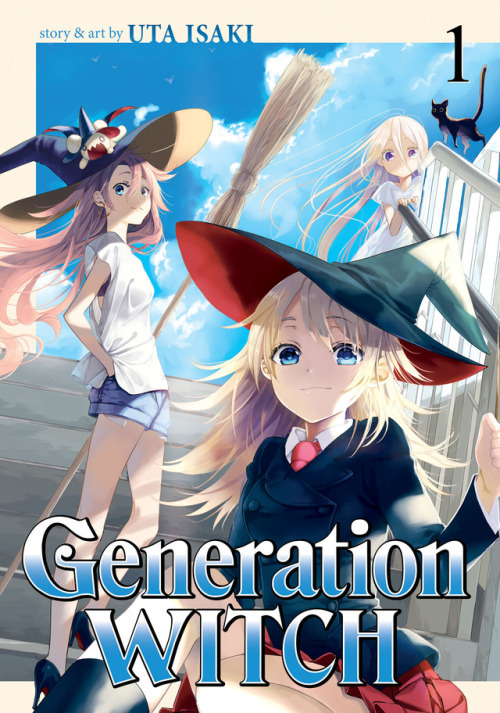 The book looks like it’s setting itself up to be a love-triangle comedy, although during the first volume it’s basically introducing all the key players and establishing a mood. Despite the book’s dense layout and panel structure, it at times feels empty – there are plenty of panels with a single figure staring into the distance, with some small screentone effect applied, and the result is that there’s quite a bit of empty space in the book. The panel structure isn’t as inventive as some of the recent comics I’ve seen from Bessatsu Margaret, and at times the screentone and other effects feel like filler rather than emphasizing the emotional heft of the book. Shimana must confront her parents after she runs away, and she is never allowed to hide from her problems for too long. There’s an element of family and responsibility that runs throughout the manga that gives it some stickiness and some weight. I think Dreamin’ Sun succeeds most in its writing; Takano’s characters are strongly realized, and while they slot into some familiar territory, they aren’t cookie cutter shojo. Most love triangles have a clear favorite, and while Shimana starts out liking Asahi, it’s not clear to me that he’s the favorite to win the long game. 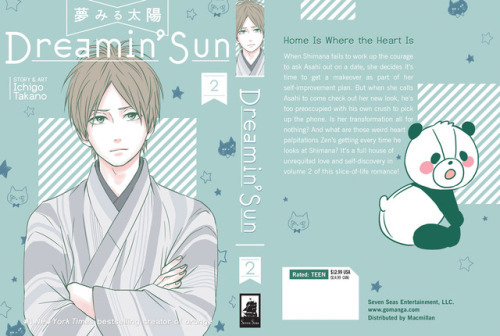 While the art and panelling of Dreamin’ Sun’s first volume is probably best described as workmanlike, its strong writing, thematic heft, and clean pacing make it a strong debut volume, and hopefully a sign of things to come. If you liked this review and want to see more manga reviews at Sequential State, please support our Patreon! A great review for one of our newest series. 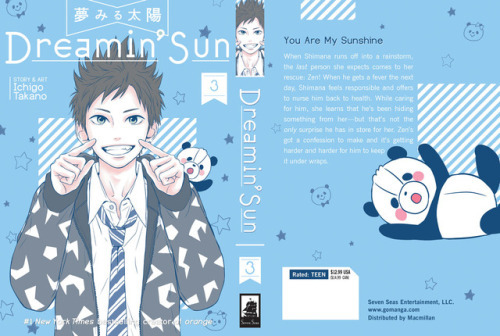 The first volume of Dreamin’ Sun is available now! 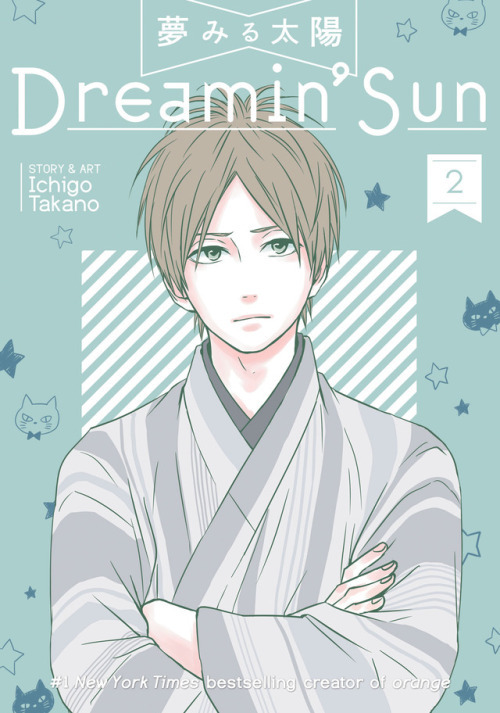 Interested in Dreamin’ Sun Vol 1 by Ichigo Takano, the creator of the Eisner-nominated orange? In addition to the paperback, a digital version is now available on Kindle, comiXology, and Bookwalker! A HEARTFELT COMEDY FROM THE CREATOR OF ORANGE! Shimana Kameko lives in a home where she feels she doesn’t belong. Her mother is dead, her father has remarried, and her six-month-old baby brother takes up everyone’s attention. Kameko skips school and runs away to a nearby park, where she literally stumbles over a mysterious man in a kimono. The stranger, Fujiwara Taiga, offers Kameko a place to stay—on three conditions. The first condition is that Kameko tell him why she ran away from home. The second is that she fetch the stranger’s lost apartment key (he is locked out!). The third condition is…to have a dream. Kameko meets the conditions, moves in, and begins a journey of romance and self-discovery.